Image caption Emergency services were called to the scene on Fabian Way at approximately 07:20 BST. 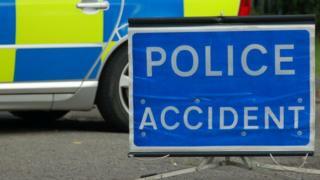 A pedestrian has been taken to hospital with serious injuries after he was hit by a car in Swansea. Emergency services were called to the scene on Fabian Way at approximately 07:20 BST. The eastbound carriageway was closed between Crumlin Burrows and the Swansea University Bay Campus for several hours, but was reopened at approximately 10:10. The man's injuries are not believed to be life-threatening, police said.